This was one monster of an itch . . .
Well, this book was simply adorable! I loved that it was a little mystery and ghost story rolled into one. The plot was really well done. Even though this was a children's book, it was still a very sophisticated story. It was long enough to really tell a full, good tale -- but short enough to hold a child's attention. 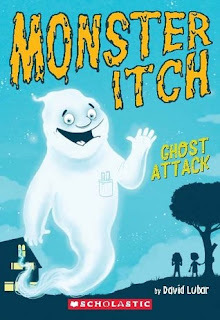 I would definitely recommend this one for your children...as long as they're not afraid of ghosts!